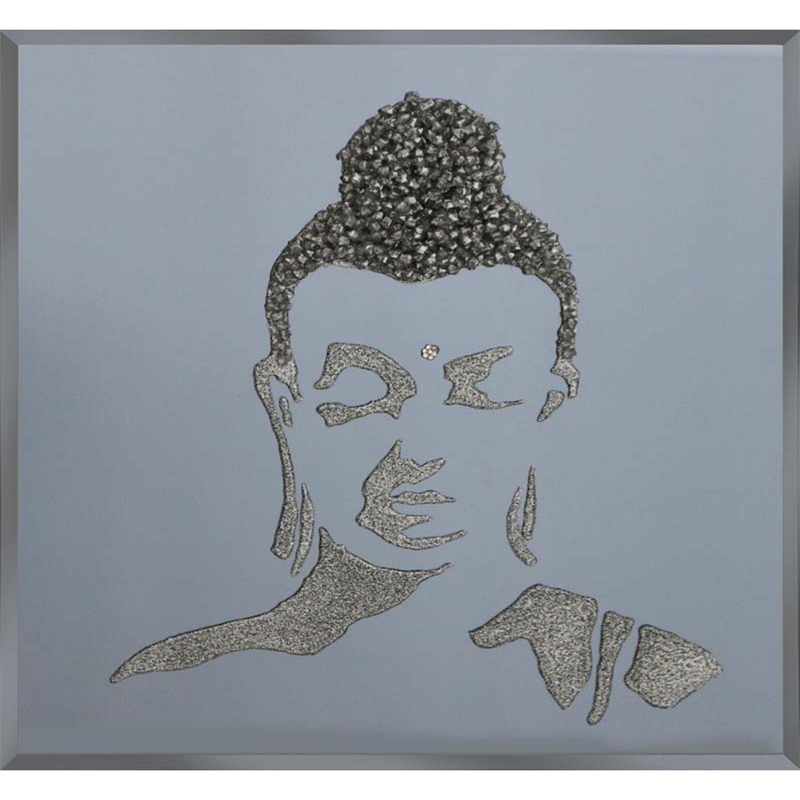 Introducing this amazingly designed Silver Glitter Buddha on Smoke. Coming in a variety of sizes such as 75x75, 100x60, 120x80 so there will most likely be one to suit your home. This piece has cluster crystals in the Buddha design, encased in Glitter Liquid Glass keeping this beautiful piece glamorous as well as cultural and traditional. Also being hand finished in the UK, this piece has custom sizes available as well as the set sizes, all with brackets attached.